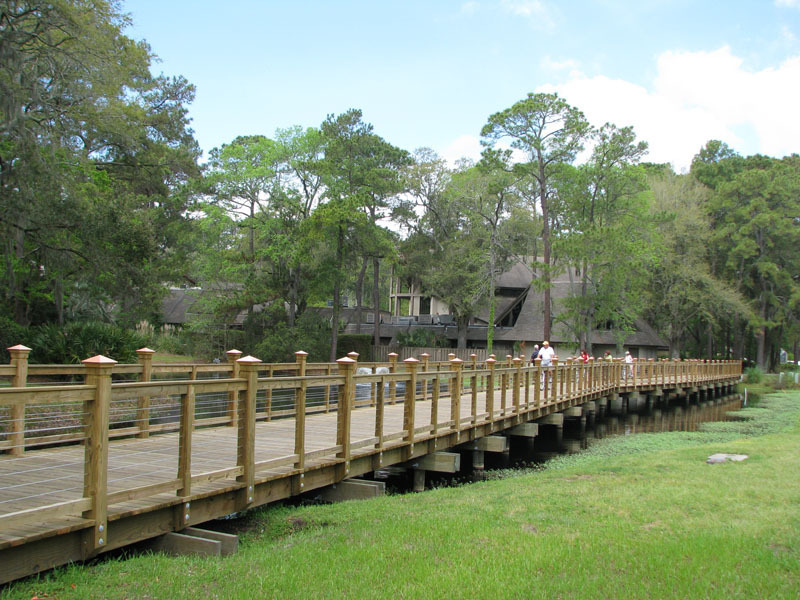 There are a lot of places on Hilton Head Island that you can bicycle to that are seldom visited by vacationers and that will give you a very different view of the island. Here are a few suggestions: The Folly (off Singleton Beach Road), the end of Beach City Road where there is a town park with trails that wind through the woods along the marsh and end up on a remote beach on Port Royal sound, and Point Comfort, a place that offers views of tidal creeks and marsh. All have lots of wildlife to view. Bike riding on Hilton Head offers diverse opportunities to see the non-commercial parts of the island.